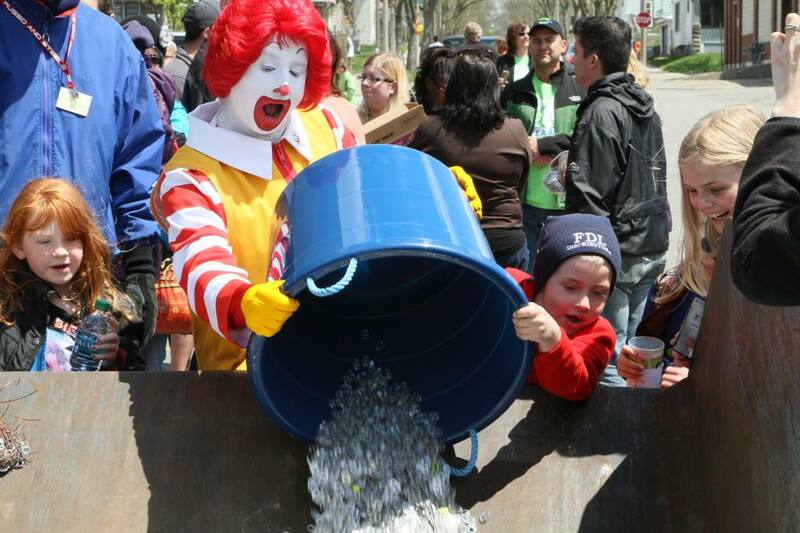 Join us for Tab Toss Day Saturday, May 18th from 12:00 p.m.- 2:00 p.m. where family and friends come together to support the Ronald McDonald House and celebrate the power of a pop tab! Bring your pop tabs and other recyclables and join in the fun with games, food, music and other festivities. 100% of the proceeds will be donated to the Ronald McDonald House! Ronald helping deliver pop tabs on Tab Toss Day!